​Click here to visit the Alpine Nature Hikes page. There you will find trail maps for the monthly trail walks, staring with the month of April, continuing on through September. Take the hike, identify the flowers and earn a collectible badge! Learn the names of the flowers in Lambert Park by joining a monthly nature hike! 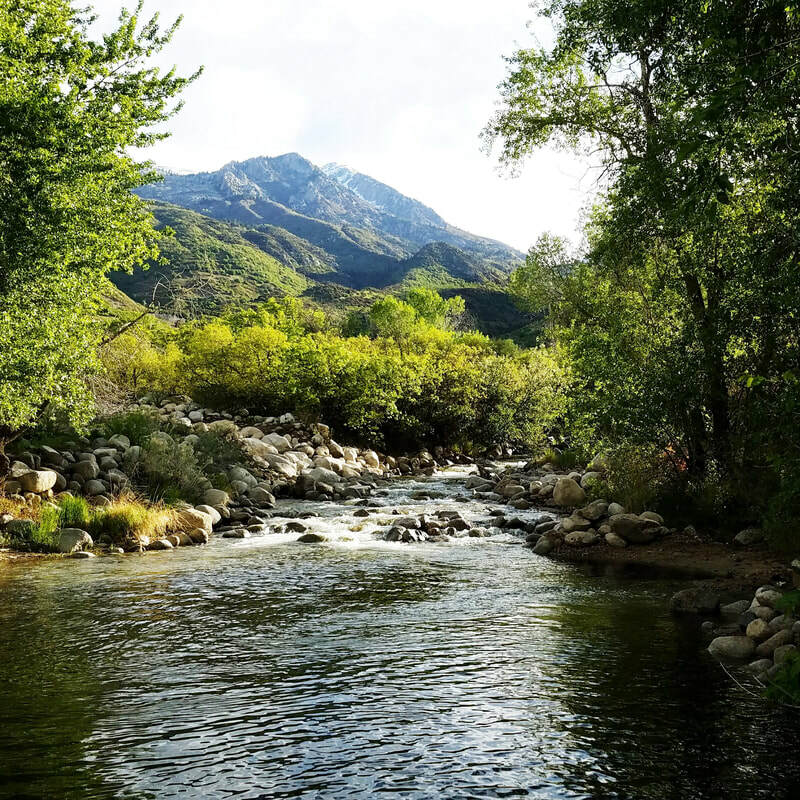 Did you know Lambert Park was purchased by the city of Alpine in 1954 for the express purpose of protecting our watershed? ​Learn more about the water systems in and around Lambert Park! Visit our Water Tour page! 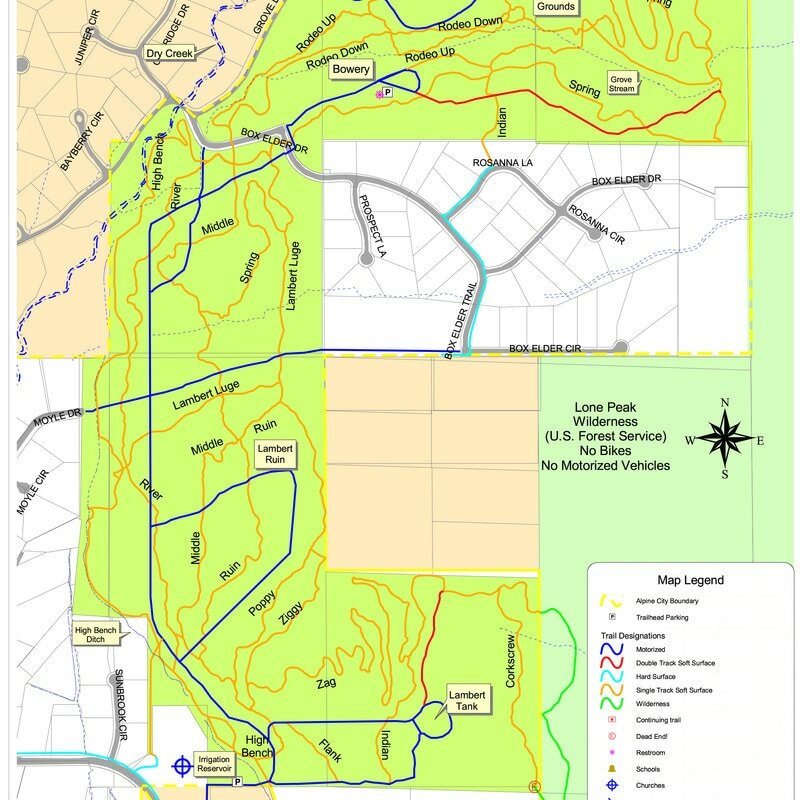 The City of Alpine has maps of all the parks and trails. For the city map of Lambert park, click here. For an unofficial, but currently ​​updated map of Lambert Parrk, click here. 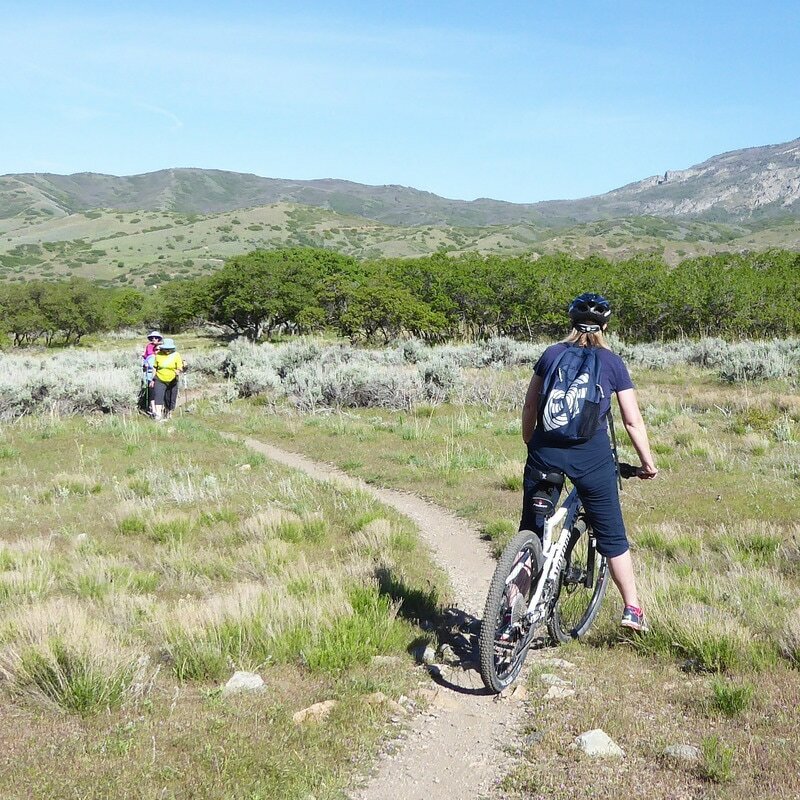 For a detailed biking guide of the park, visit utahmountainbiking.com/trails/lambert.htm. Please note - The Alpine City Council has voted to ban all motorized vehicles in Lambert Park. Exceptions are the paved roads to the Rodeo Grounds and the Bowery. The ban will last until 1 May 2018 and will be enforced by the Lone Peak Police Department. There is a $500 fine for violations. Click here for allowed parking areas and other information. Trail maintenance is overseen by the Alpine Trails Committee. 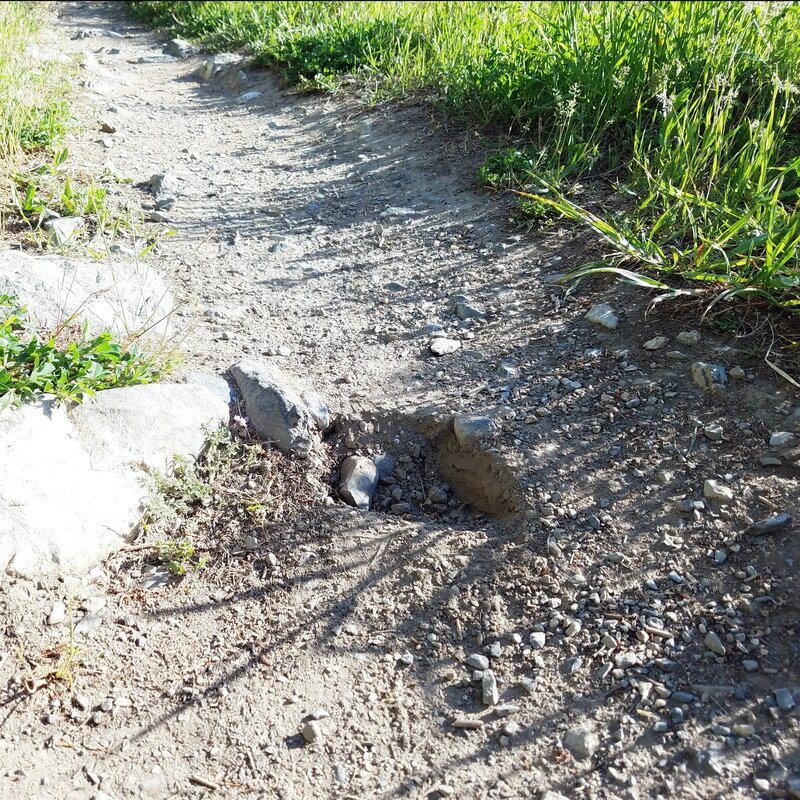 Do NOT remove rocks or change the trails in any way. If you have concerns, contact the city. To volunteer to help with trail maintenance, each year Alpine has an ALPINE TRAIL DAY. Volunteers do trail maintenance and weed control. Upcoming Trail Day dates, when available, will be published in the Events section. You can find more information on Alpine Trail and Open Space Ethics by clicking here. 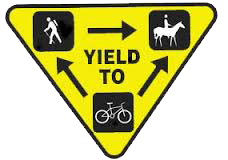 Trail etiquette requires bicycles to yield to horses and pedestrians, and pedestrians to yield to horses. Friendly courtesy between all three groups make outdoor experiences a joy. In many areas of Lambert park it is easy for pedestrians to step off the trail when bikes are passing. Do not wear headphones that preclude you from hearing oncoming traffic. You can find more information on Alpine Trail and Open Space Ethics by clicking here. For more suggestions on how to share the trail, see the Boulder Mountain Bike Alliance Brochure.